A moon phase display where no display should fit: there are challenges in the world that even a genius inventor might have trouble with. A collector and owner of one of the MIH watches asked Gerber if it might be possible to integrate a moon phase into the caliber for him. Even the talented Gerber had to pass on this idea as the layout of the already existent calendar displays take up the entire surface underneath the dial. But maybe there was a possibility of achieving this if the moon phase display were contemplated separately from the movement. 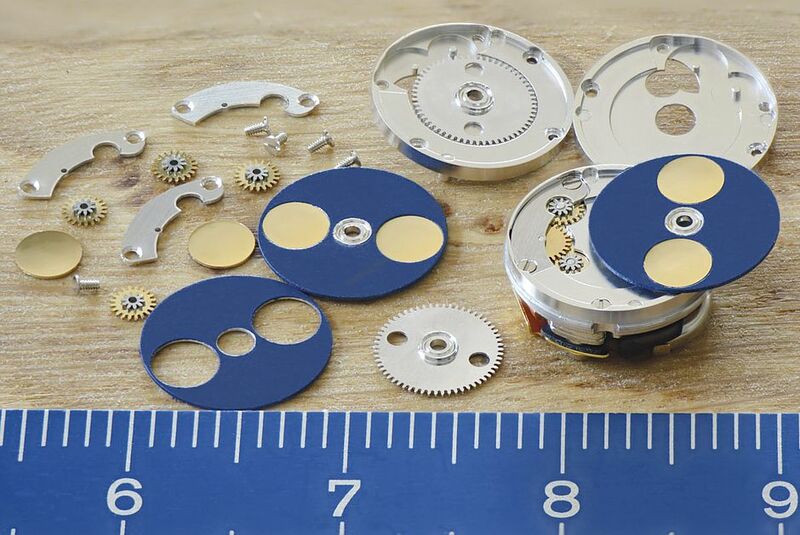 This is how the idea for the micro moon phase EPR 52 began to take root. 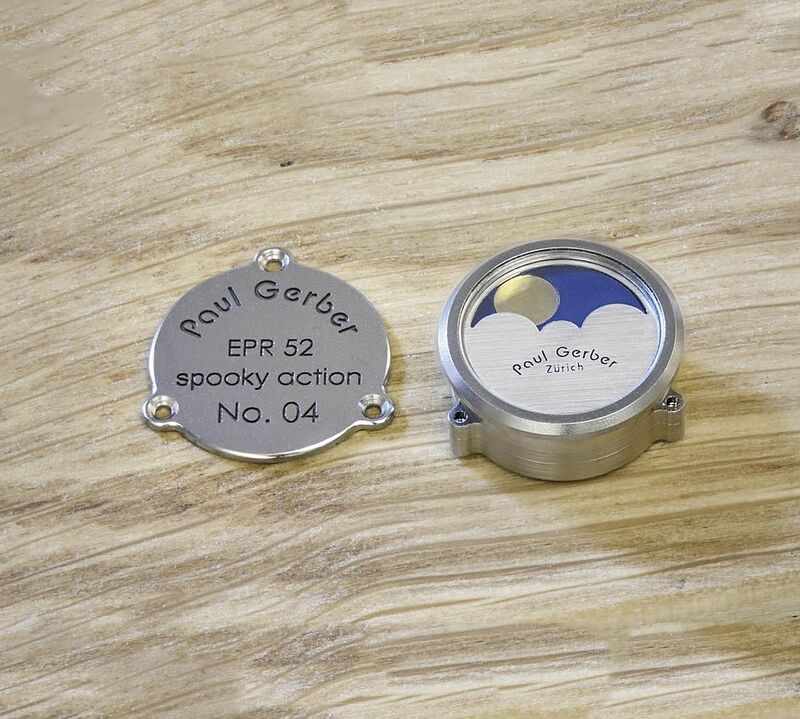 The patent-pending micro moon phase EPR 52 pays homage to Einstein, Podolsky, and Rosen with the initials in its name, while the numeral 52 stands for the 52nd caliber that Paul Gerber has conceived, constructed, developed, and built in his forty-year career. The extreme miniaturization of a moon phase display wasn’t what puzzled Paul Gerber; it was more the search for the correct positioning of where the mechanism could be placed. Why not within a small casing that could be placed on the strap, he thought? This way the watch dial would be close without the added moon phase having to take a prominent place on it. Naturally, the compact additional casing would have to offer the mechanism protection from the perhaps negative influence of its surroundings in a place that might get bumped more often, which is why its tiny titanium case is shockproof and water resistant. 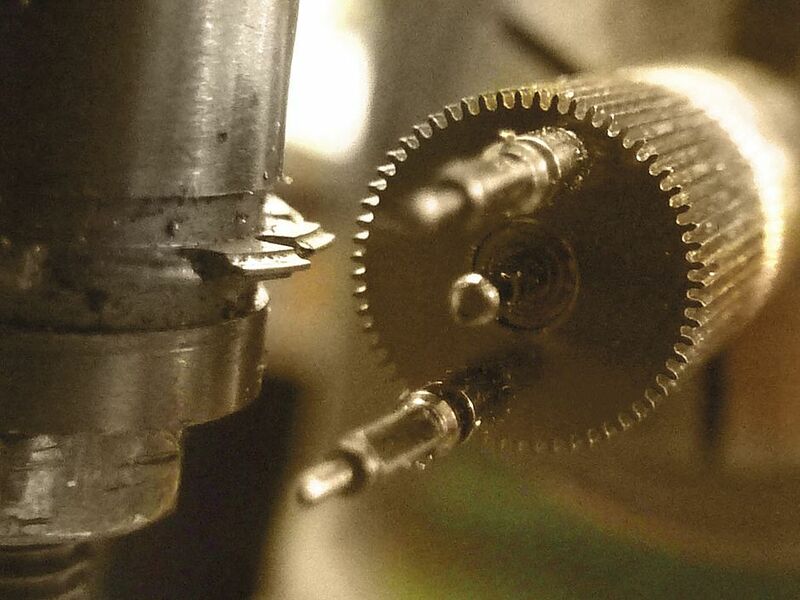 Without a connection to the movement of the «mother watch», the moon phase also needed its own time source and its own drive train. 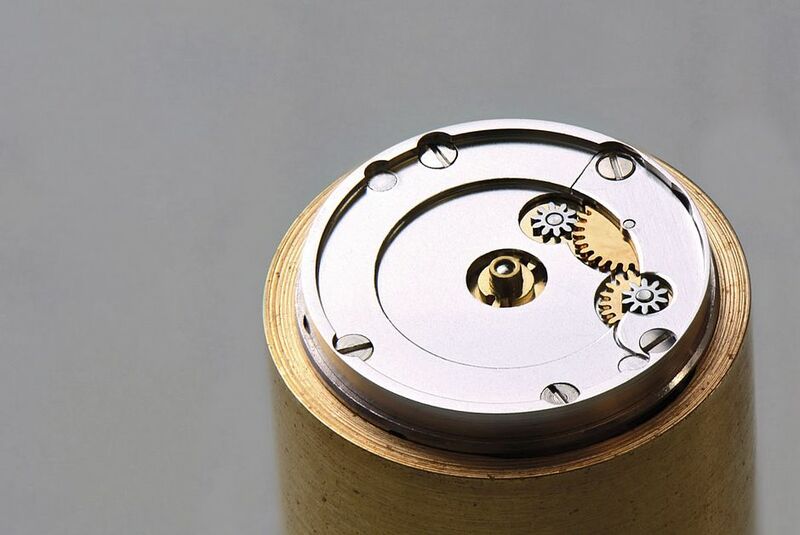 As there was no room in the tiny case for a spring barrel and a balance, Gerber once again began to think outside the box: why not use a quartz movement with micro battery? 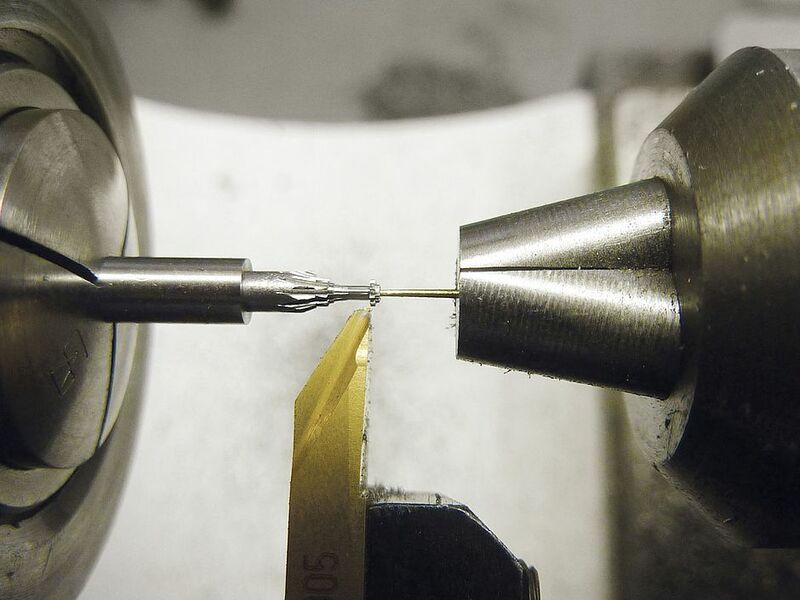 Quartz technology is in the world of mechanical Swiss watches relatively frowned upon, however this purist taboo feeling is normally aimed at inexpensive products exposed by the «traitorous» jumping second hand visible on the dial. Neither of these arguments have a place in Paul Gerber’s the micro moon phase, though, and using quartz technology solves the space problem elegantly, practically, and reliably. 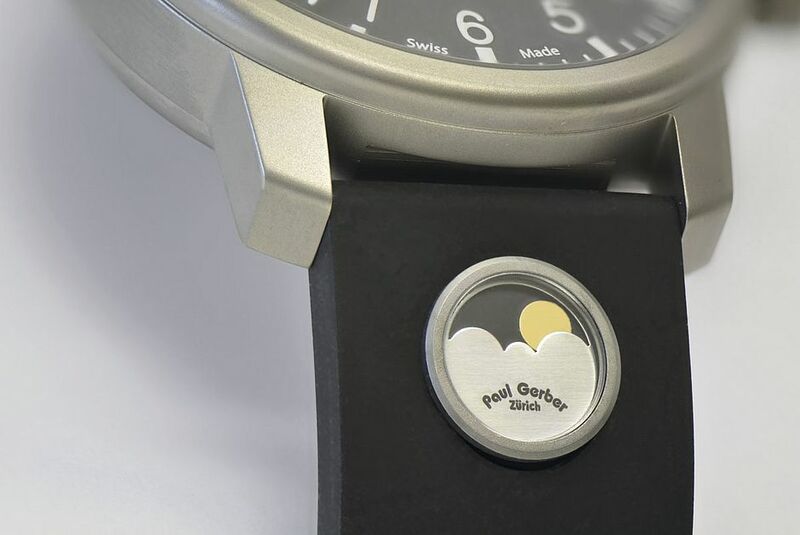 Gerber’s micro moon phase EPR 52 builds a bridge between two worlds: on one side is the mechanical moon phase display, and on the other the electromagnetic drive. 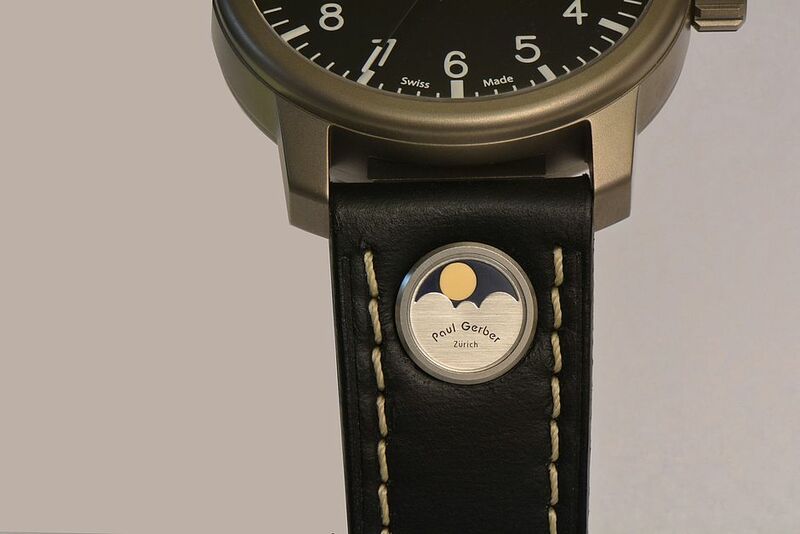 Thanks to quartz technology, this micro moon phase has a power reserve of at least three years, which just about corresponds to the shelf life of a normal leather strap in everyday use. Which means the strap and the battery can most efficiently usually be exchanged at the same time. 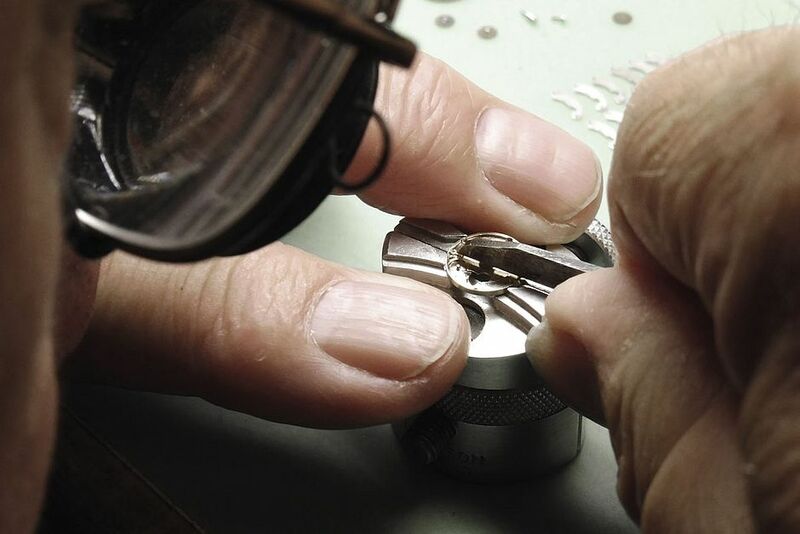 The case is hermetically sealed and has neither crown nor corrector: correction of the moon phase display is simultaneously undertaken by the watchmaker when he or she changes the battery.